Spoonflower Is Now Offering Sport Lycra! The day has finally come. Custom-print-on-demand fabric company, Spoonflower, is now offering sport lycra fabric! Yippie kaiyay! Now we can have leggings and sports bras and running tops in our own choice of prints! I find it incredibly helpful to know the tech specs and some basic info on any fabric for online purchase. I also find that looking at the facts/specs helps me avoid making assumptions (which can result in costly mistakes or purchasing a fabric that just doesn't meet expectations) and minimize emotional buying shifting into educated decisions based on the garments I want to make. Having this kind of detail on fabrics prior to purchase turns me into a customer. Finding out it didn't meet my expectations afterwords, turns me away from a shop. Now comparing specs... isn't it interesting that the Sport Lycra is 2 x the weight per oz as the Performance Knit and Pique? And!! We now get 75% stretch as well as the other two knits at their 25% or 50% respectively! YAYAAAAAAAAAAAAAAAAAAAAAAAAA! Freedom of movement and choices in knits for athletic wear. See details and images on the Sport Lycra page. Wash separately in cool or warm water on a gentle/delicate cycle, using phosphate-free detergent. Machine dry on a low temperature setting. Best part? They offered a 1 day free sample. That's a $5 savings. Woo hoo! I picked up a few samples of Schatzi Brown's prints because I've been drooling over her work for months. I love her Nalu Tribe prints and pieces and would wear them proudly, but not one of them is made in my size. 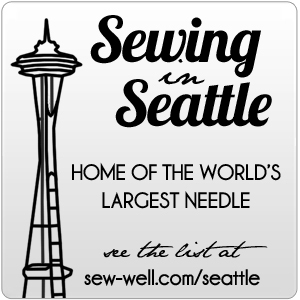 Sew here I go! Thank you for having your collections on Spoonflower!